Obesity is an engaging e-learning programme for practitioners in the NHS and local authorities working in weight management. It was developed by the Department of Health Obesity Team in partnership with Health Education England e-Learning for Healthcare in 2010, and reviewed and updated in partnership with Public Health England in 2017. 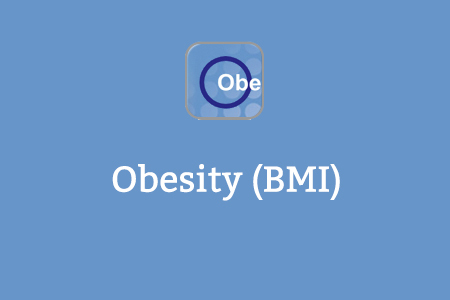 The programme introduces obesity and its implications for health, provides a knowledge base on identification of unhealthy weight and risk factors for weight gain, managing obesity, and learning on guiding and enabling behaviour change. The learning is relevant for a wide audience, including doctors, particularly foundation doctors, GP trainees and GPs, nurses and any NHS or local authority practitioner who encounters overweight or obese individuals. If you already have an account with e-LfH, then you can enrol on to the Obesity programme by logging in to the e-LfH Hub, selecting My Account > Enrolment and selecting the programme. You can then access the programme immediately in the My e-Learning section. The Obesity programme is also available to NHS healthcare staff via the Electronic Staff Record (ESR). Accessing this e-Learning via ESR means that your completions will transfer with you throughout your NHS career.